TORONTO, December 5, 2018 – Avanti Systems, a leading innovator in Print MIS technology, today announced the latest in its web seminar series that features success strategies from North America’s most successful print providers. Poised to reach annual revenue of $6.5 million this year, Indiana-based Print Resources, Inc. combined the Avanti Slingshot Print MIS solution with their own hard work and innovation to reach their goal of 30% growth for each of the past two years. The free session is open to commercial and in-plant print providers, and will take place on December 13th at 2:00 PM EST. Online registration is available at http://offers.avantisystems.com/webinars24. A major educational client sends Print Resources XML files at an average rate of 100 orders each day, with total order volume increasing to as many as 200 orders per day during peak periods in the academic year. The company struggled to fulfill the orders during periods of high order volume and, as a result, mission-critical functions such as invoicing were delayed. Ellinger turned to automation to free up staff time, keep the shop running at maximum efficiency and meet client requirements for turnaround time. He and his colleagues evaluated print MIS systems that could handle the diverse range of jobs they received on a daily basis, accepting and separating multiple orders, automatically generating packing lists and shipping labels, quickly and accurately generate client invoices, and provide timely and useful business analytics. 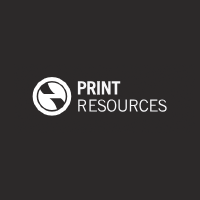 And it was important that the new solution could adapt as Print Resources’ business grew. Print Resources determined that Avanti Slingshot was the right fit, and the results proved that it was the right choice. Previously entered manually, customer data can now flow automatically and seamlessly into the Avanti Slingshot solution without using staff labor. It provides a detailed packing list for each order, listing what should go in each box. As a result of that change alone, Print Resources now needs only one person for order handling and packing instead of five, giving them the flexibility to reallocate four staff to other functions. The company also uses Avanti Slingshot to streamline their inventory control and accounting processes. Moreover, detailed information in the cost of materials is now providing the company with robust data to run their business better. For example, they can now effectively track whether consumables costs are rising allowing them to make better, more informed business decisions. At Avanti, our goal is to help you deliver more jobs, in less time, with the confidence in knowing that every aspect of your shop is integrated into one powerful Print MIS platform. Connect islands of automation, eliminate breakpoints in your workflow, and get the information you want – when you want it, and where you want it – easily, with award-winning, JDF-certified Avanti Slingshot®. From order entry through to production and billing, Avanti Slingshot® enables you to work more efficiently, control your costs and move more jobs through the shop with ease.